In one of the recently published news on our website, we sought praise of Lava Xolo Q700 phone, but this new launch from Karbonn has made us switch sides and you know how quick journalists are when it comes to switching sides ;) . Karbonn has formally pushed out the new successor to its S1 Titanium phone, Karbonn S2 Titanium, which is available for sale on online shopping sites like infibeam, snapdeal, saholic, etc, and soon be available in local retail stores as well. The price of this phone is Rs.10,790. Lets see why this phone clicked our first impression. Talking about its specification, it is a quad-core android device with MediaTek processor, the chipset that has been powering all those budget quad-core android phones in India. So, as expected the processor is clocked at 1.2GHz speed. Anything less than 1GB RAM will be unjustified for a phone with powerful processor and S2 Titanium also has 1GB of RAM on board. Dual SIM card support with dual standby as well. 3G connectivity is also present alongwith Bluetooth, WiFi. A-GPS is also inbuilt for navigation purposes which is gaining traction in India these days. 4GB of internal storage is also there. All these specifications are there in the predecessor Karbonn S1 Titanium as well as in the recently launched Lava Xolo Q700 phone. So, what sets S2 titanium apart? The answer is Camera specs. This phone has 8 megapixel rear camera and 2mp at front. S1 titanium, on the other hand, has just 5mp rear camera and vga front camera. And Xolo Q700 also has 5mp primary camera and 0.3mp i.e. vga camera at front. So, camera is one aspect where S2 Titanium clearly wins. Let me remind you that Xolo Q700 matches with Xolo Q800 in almost every aspects except camera as xolo q800 has 8mp rear camera and 1.3 mp front-facing camera. S2 Titanium has 2100 mAh battery whereas S1 has 1600mAh battery, hence s2 is definitely an upgrade over s1 as evident from differences in specs of the two devices. Xolo Q700, on the other hand, has 2400mAh battery. 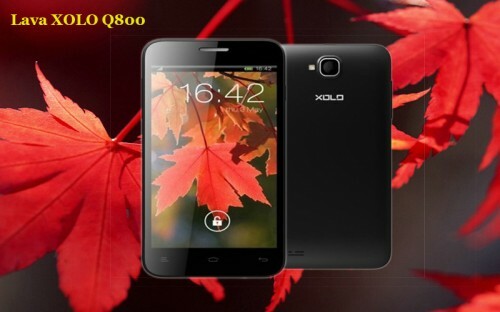 S2 has all the usual sensors but it lacks magnetic sensor which is there in xolo q700. Display is another aspect which has changed here. 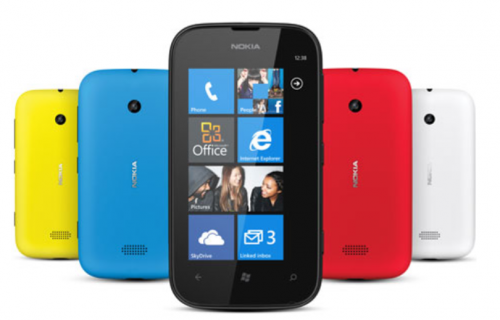 It has screen of 5-inch as opposed to 4.5-inch present in s1. So, with increase of screen size, you expected increase in resolution, right? Well, disappointingly, the resolution is little lower at 854*480 pixels as opposed to 960*540 pixels in s1 or in xolo q700. With lower screen resolution and higher screen size, the pixel density count descreas to 196ppi in Karbonn s2 titanium phone. 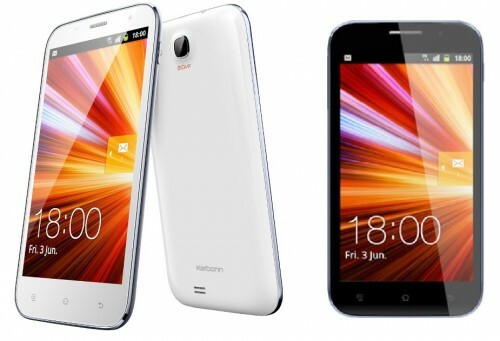 Karbonn S2 Titanium is the cheapest quad-core android phone with good set of specifications! Yet, we’d make note of the fact that sometimes, what’s good on paper may not yeild that great in reality. So unless, we get to review this handset, we can’t say much about how it stands against the competition! 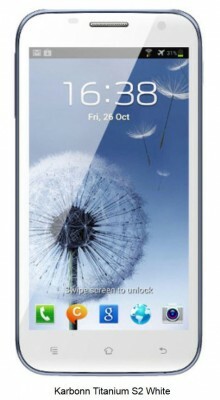 Screen Size of 5 inch (12.7 cm). It comes with internal memory of 4 GB.